Welcome, Internet traveler, to This Yard Has Saled, the column where I discuss the adventures and difficulties associated with my long-time hobby of videogame collecting! Yes, that’s right. In addition to playing them, living them, loving them, and needing them, I threw the gloves off ten years ago and entered the difficult and expensive world of collecting videogames. 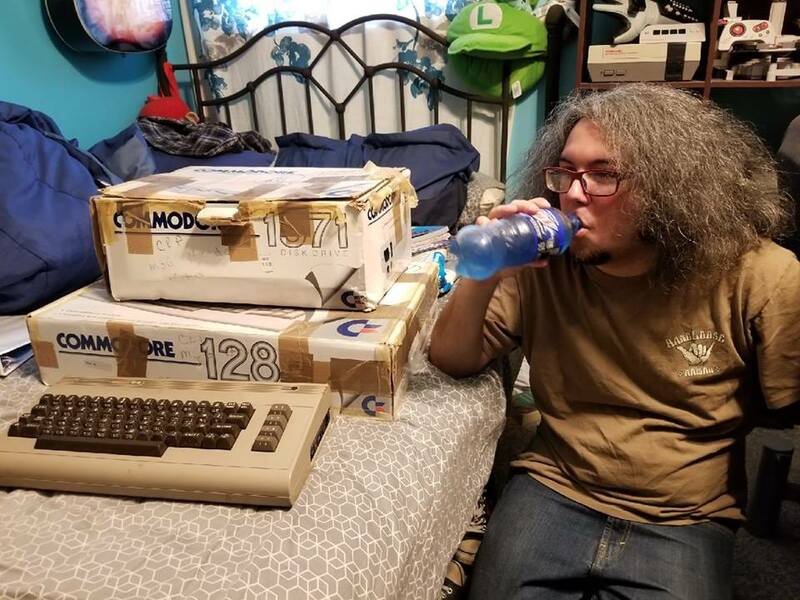 Many collectors have their preferences, and I like to imagine that I have mine as well; it just so happens that my preferences sound more like the words “anything videogame-related” than I care to admit. In this column, while I intend to showcase some of the places I’ve been, interesting things I’ve come across, and people I’ve met while collecting, this doesn’t guarantee that I’ll always be talking about the namesake of this column: yard sales. I absolutely visit yard and estate sales as much as the next crazy collector, and you will absolutely be hearing about them, but sometimes circumstances prevent my attendance, like weather, sickness, or a lack of sales in my area. But that won’t stop me from looking for deals in the wild! 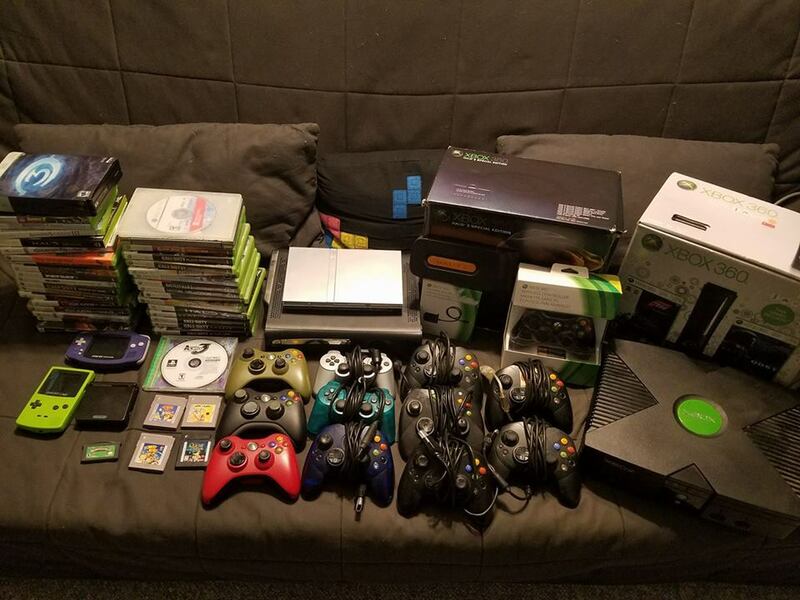 There are still buy/sell/trade groups on social media (of which I heavily take advantage), friends and family who either give or sell me things, flea markets and antique stores, and (when I’ve really hit rock bottom) secondhand retail stores—so the influx of games never ends! Moving forward, I want this column to be up-to-date; I intend to catalog pickups month by month, which I already do with plenty of profanity on my YouTube channel, although without going into much detail; instead I focus on the pickups themselves rather than my thoughts, the adventures, the people, and the discussions. If you’ve ever watched an episode of The Game Chasers, you can expect this column to be a readable version of a show in the same vein, and I also intend to supplement each story and recollection with plenty of photos, videos, and dumb antics. Along the way, expect to become good friends with my best buds and collecting companions, Joe and Dustin, who usually accompany me on my adventures, and who make getting up early on a Saturday morning thirty thousand times more worth it. To hold you over until the premier November 2018 installment, here are some highlights from my hobby up until now. All people photographed, videotaped, or mentioned by name have given me their permission to do so. 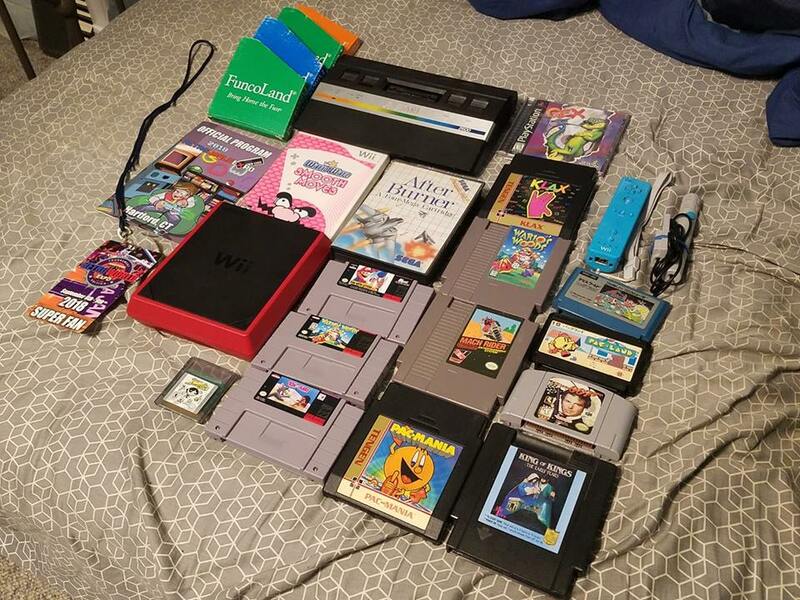 Pickups from a single month of yard sales, conventions, and visiting friends. 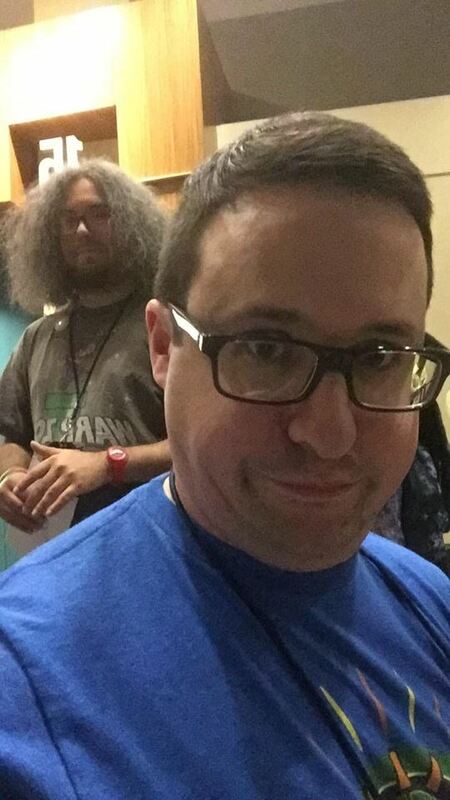 Getting a selfie taken of me by Game Dave at RetroWorld Expo 2018. 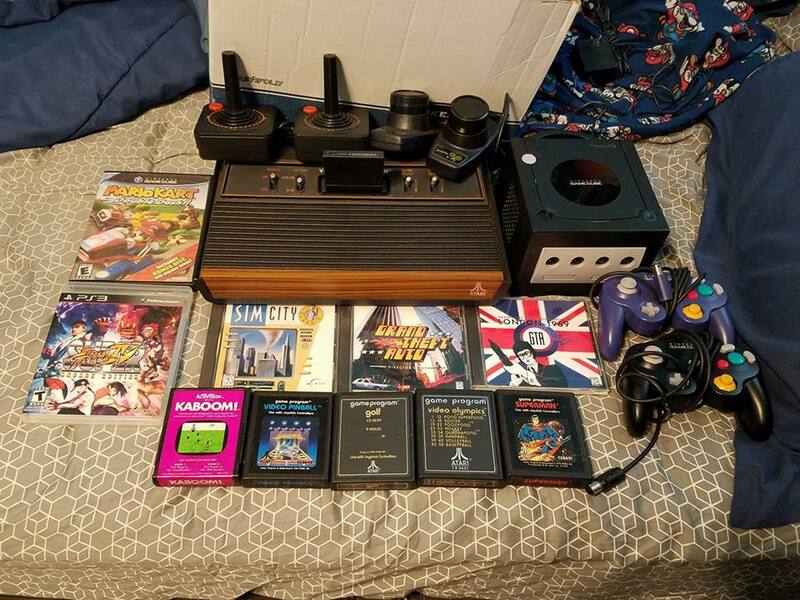 Items from a single pickup, given to me free of charge by my buddy Dan. 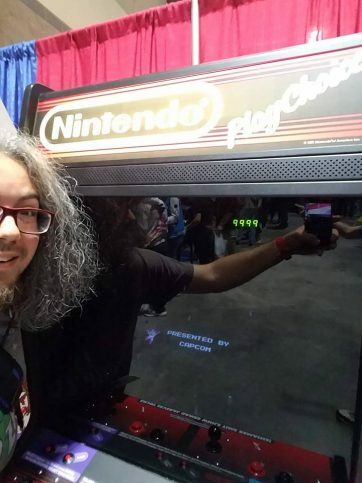 Beating Mega Man 3 on a Nintendo PlayChoice-10 at RetroWorld Expo 2018. 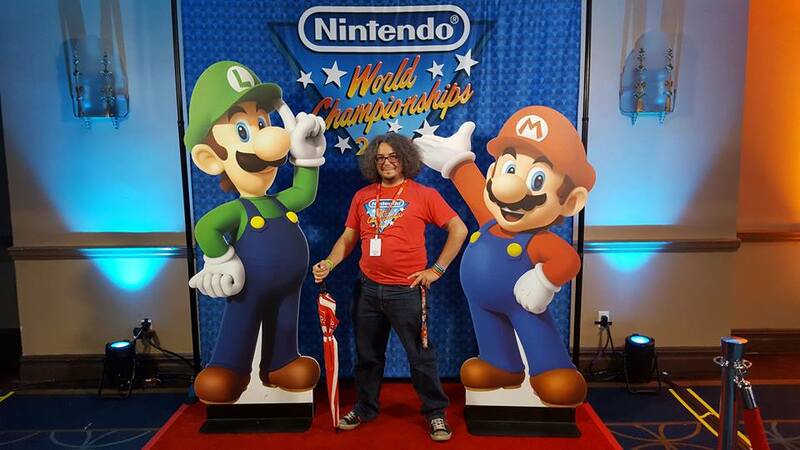 Getting to attend the Nintendo World Championships 2017. Pickups from RetroWorld Expo 2018. 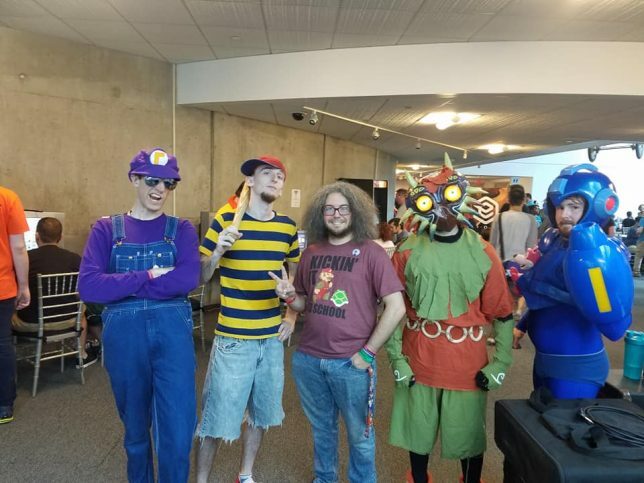 Getting to meet Super Thrash Bros. at the Long Island Retro Gaming Expo 2018. The time I got a Commodore 64, Commodore 128, and Commodore 1571 disk drive at a single yard sale…for only $40. Pickups from a fantastic day of yard saling (as I call it) at a block yard sale, which is apparently a thing. Not to sound like an old-timey radio announcer, but stay tuned into GameCola for more pickups and adventures, with real details and stories! It’s coming incredibly (and I do mean incredibly) soon! You have my word! Now THIS is my kind of content!! I’m guessing you may have ran into this, but nice way to wind up with game is when at big friends gatherings and the topic of hobbies comes up mention you collect video games and you’d be willing to look into taking people’s collections off their hands. I moved a coworkers couch and she knew I dug games and she dug her son’s old PSone and a shoebox of about 15 games out of the closet and said they’ve been sitting there forever and she texted her son if it was ok if she gave them to me and it was the coolest thing to randomly happen. 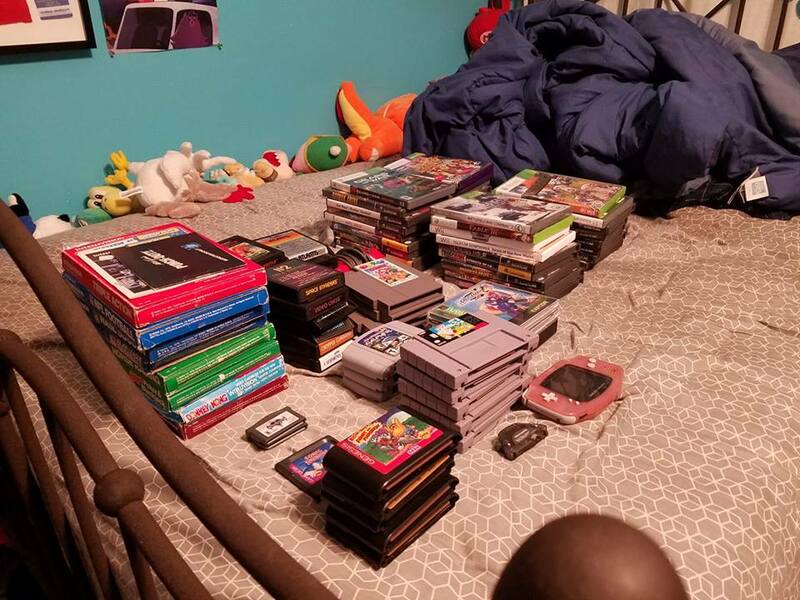 Also twice earlier this year I had two friends who were getting out of gaming and offered to sell me any of their games. I offered $5 each without knowing what they had and they were more than happy of doing that and not going through the hassle of dealing with ebay or used game stores.